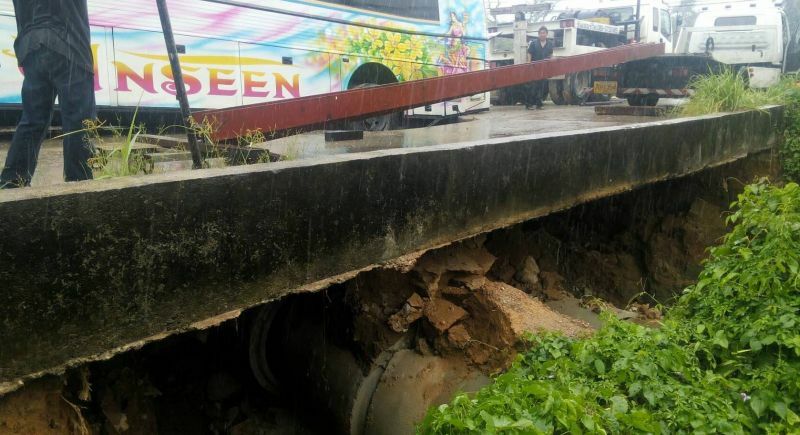 PHUKET: A local tour bus remains perilously trapped after a section of narrow road in Srisoonthorn Sub-district collapsed due to heavy rain sweeping away its foundations. The bus remains stuck fast after a section of narrow road collapsed due to heavy rain sweeping away its foundations. 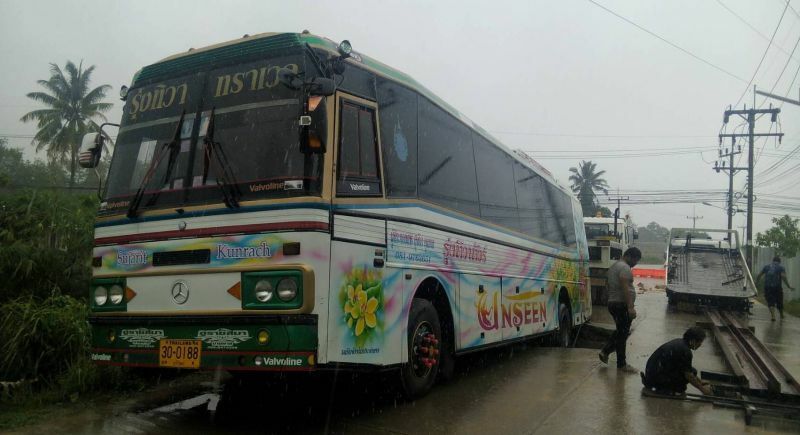 The bus remains stuck fast after a section of a narrow road collapsed due to heavy rain sweeping away its foundations. No injuries have been reported and the bus was not carrying passengers at the time. 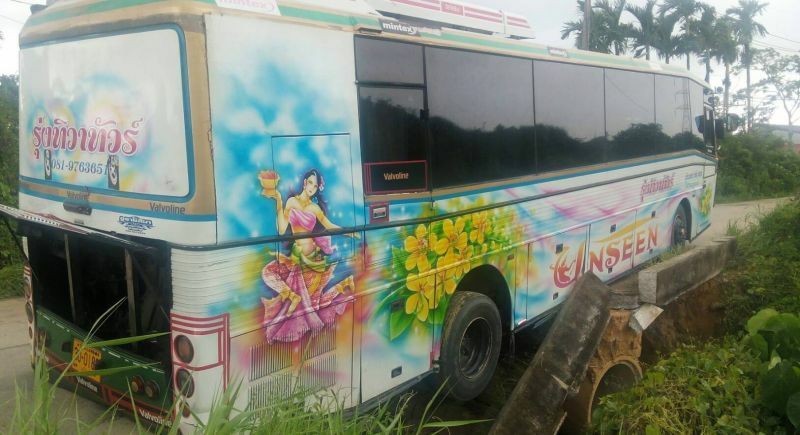 Srisoonthorn Municipality officials were notified of the incident at 9am this morning (Sep 3) and said that the driver had attempted to reverse out of the collapsed section of road shortly after it gave way, but the bus remained trapped. Kamnan of Srisoonthorn Sub-district, Mr Kitisak Sodraksa, and other municipality officials arrived soon after to inspect the scene of the accident, which is located on the road behind Baan Lipon School Moo 1. Two trucks were organised to assist in removing the bus and they are continuing their efforts this afternoon. Officials have closed the road with a temporary barrier and lights to keep motorist away from the scene while they work to extract the bus.